Raw n Pure Honey | Helping people know more about real and unadulterated honey while educating them on beekeeping and bees to help save the world a little bit at a time. Helping people know more about real and unadulterated honey while educating them on beekeeping and bees to help save the world a little bit at a time. Want to harness full effect health benefits of a real and authentic natural and raw harvested bee honey? We all know you can get all that from natural, unadulterated, raw and virgin honey but sadly, the only place you can find it is in the middle of the forest nature somewhere out there. That is where real wild honey can be found. It can either come from local native bees nesting on trees or on a canopy in your house. Those bees that are neither farmed nor bred in a box is the kind of produced honey you want. But can you afford finding something that is far from where your comfort zone is? I bet not. In this case, the only way you can find an alternative closest to what you want is thru a bee farm or an apiary. It is where you can settle for the next best thing closest to being natural and unheated, organic or raw? But mind you, there is no guarantee of purity or being organic and free from harmful chemicals, pest control or miticides which further changes the dynamics, genetics and whole anatomy of a bee hive and its inhabitant colony. These chemicals are used to ward off parasites in a bee hive and we believe that whatever is harmful to the smallest animals living in a hive, it is definitely guaranteed to affect your bees and eventually, honey production and its user’s health. We strongly discourage consumption of unsure, unlabelled and untested honey. 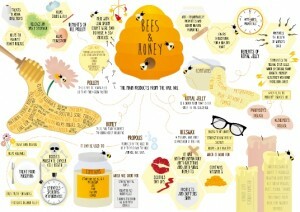 We at Raw N Pure Honey aim to educate people with these facts. Because we want you to come up with the best choice there is in the market and at times in places near forest parks and sellers where you can buy wild honey. We also aim to educate people scientifically with processes and simple practical ways of knowing where best to get or buy the least harmful if taken from available commercial honey. 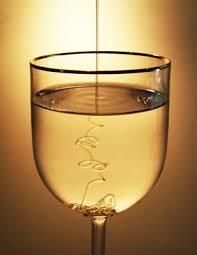 There are also other ways to test honey purity using basic Chemistry elements like the iodine. We want people to know about it too so they may avoid getting adulterated honey which by the way is prevalent in many local grocery stores and supermarkets out there. In many Asian countries, it is reported that even big grocery stores sell untested honey. We want people to avoid consuming them by education. We aim to educate honey buyers and users about the different brands found to be fake honey and where they are specifically sold in food stands. To date, we only know of the Apis Dorsata and stingless bee honey to be the best source of pure unadulterated honey available. We want to bridge that gap anywhere in the world you may be so you can buy 99.9% assurance of what you pay for incorporated with safety seals (or not) in your bee honey syrup. We will give you the good news on specific places in forest parks where natives sell organic wild and all natural honey. To the left is a picture of Apis Cerana bee comb honey. It is taken from a local farm and is bottled freshly harvested from the hive of the said Asian bee that has completely adopted to live in harmony with mites like varroa destructor, a common problem in Apis Mellifera bees. 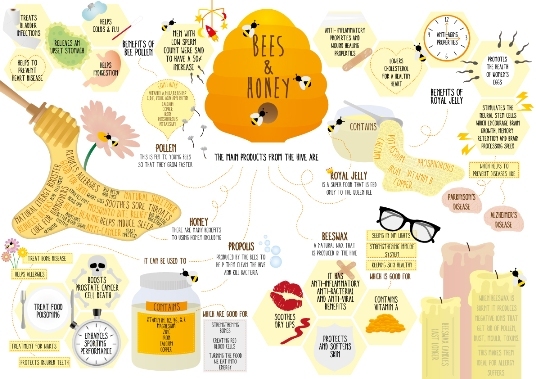 Where to source out your wild but all natural honey is very important. Raw N Pure Honey wants you and the world to know about that as we look forward to provide a pure honey producers map where you can find most wild honey sources. 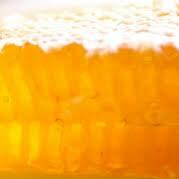 If possible, we may provide you with suggested price you’ll find to be surprisingly comparable to commercial honey. 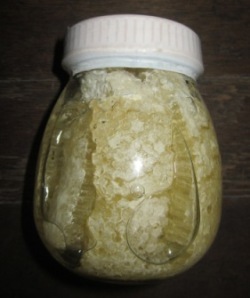 If you are lucky, you might even get some for free by personally coming over to the place where you can find ancestral wild honey hunters in all parts of the world. We may feature pictures / photos, videos and resources never before revealed elsewhere so be sure to put your email in our subscription box. Thru countless written journals and documents online, we aim to inform people of the different uses of honey both internal and external as medicine or additive ingredient to common household diseases and health problems. These may be based on facts or actual experiences but because modern medicine laws prohibit claims of cure for its use, we are willed to advise you to consult a qualified health professional for any health problems before anything else. Our information and help tips on this page are not a substitute or cure to any disease, illness or health problem. Therefore these tips and website information are not a substitute to a professional qualified opinion or consultation from a doctor or health professional. Our supplies only last as long as it does. We live in Asia, particularly in the Philippines and if you are lucky to be living in this wonderful country. You might be in for a treat. We offer selling and sharing our resources to Filipinos. We don’t ship and we don’t supply big companies. Our hard-earned aeta wild honey hunter’s produce is only available in our place but if you are willing to travel just to have a taste of our local native Apis Dorsata 100% guaranteed pure organic honey, then you are in for the treat of your life. We are making available at remarkably comparable price available in the market this honey in our passion and advocacy to spread the good news that there is still a lot of sources from wild forests of these pure, organic and all natural raw unheated honey. We make sure to teach the natives on sanitary and practical harvesting of wild honey so resources don’t come out of stock year in year out. Just try our supply and if you have your own way to test it, by all means, feel free to do so.